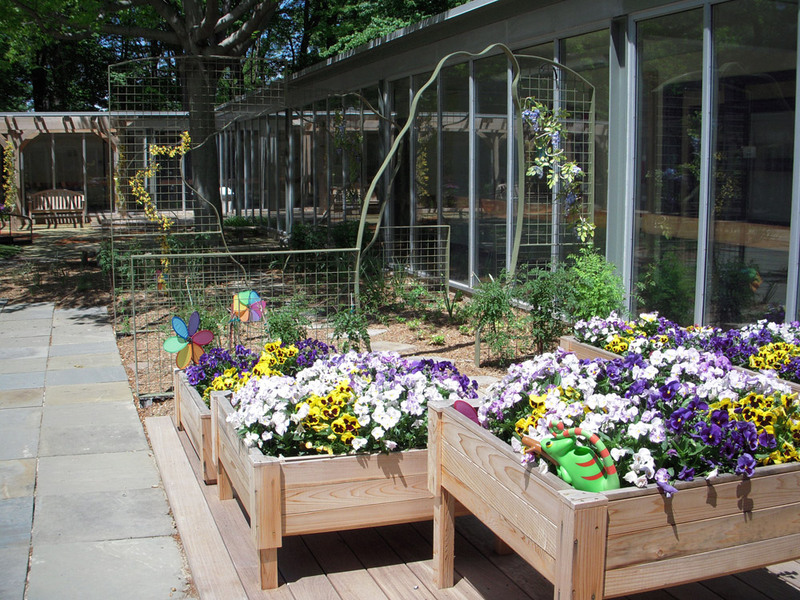 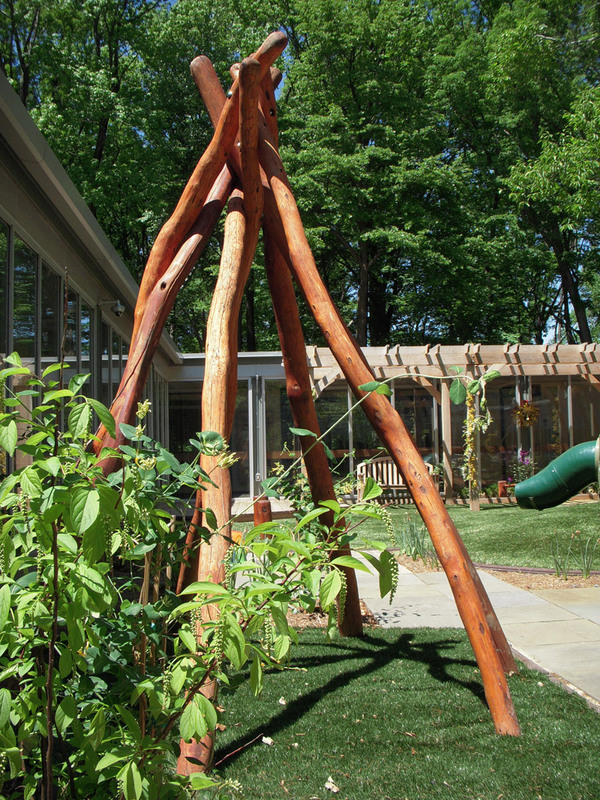 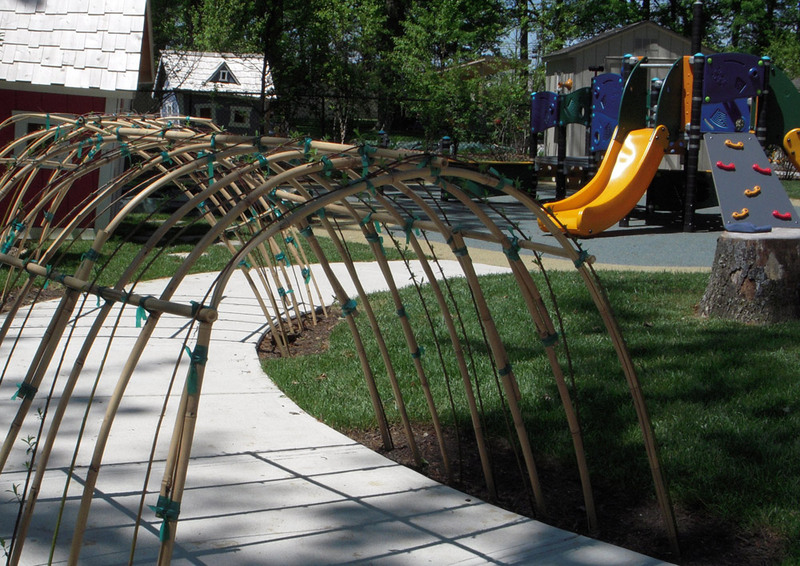 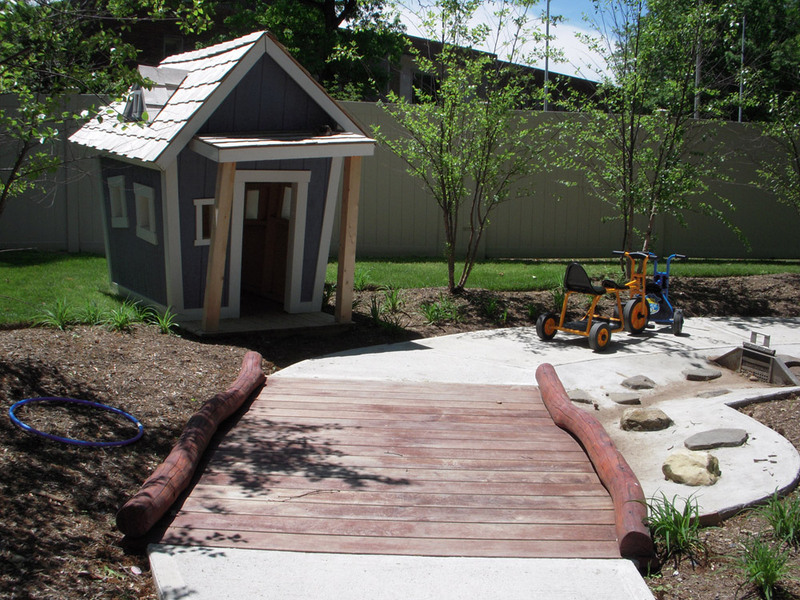 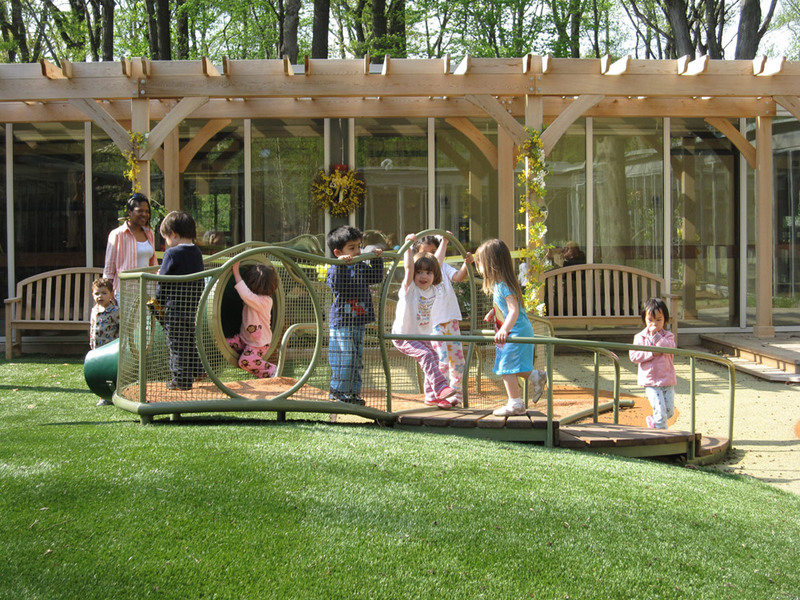 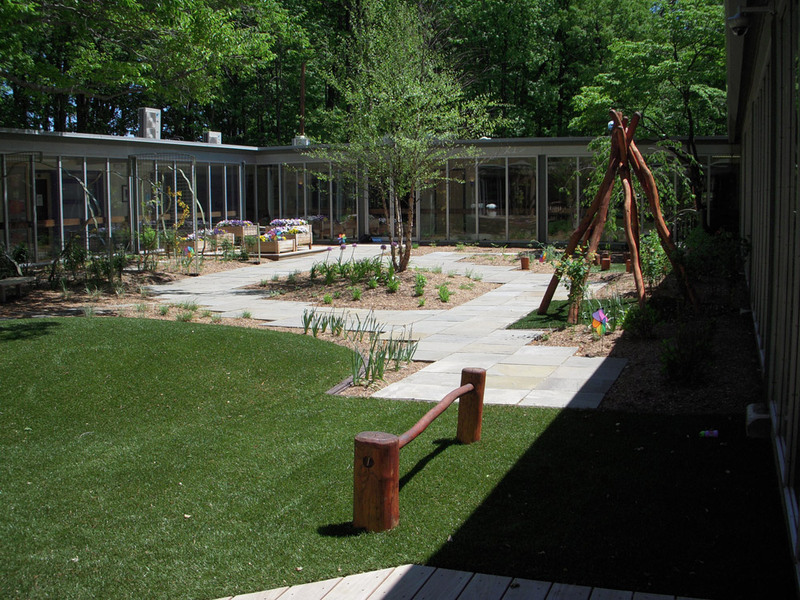 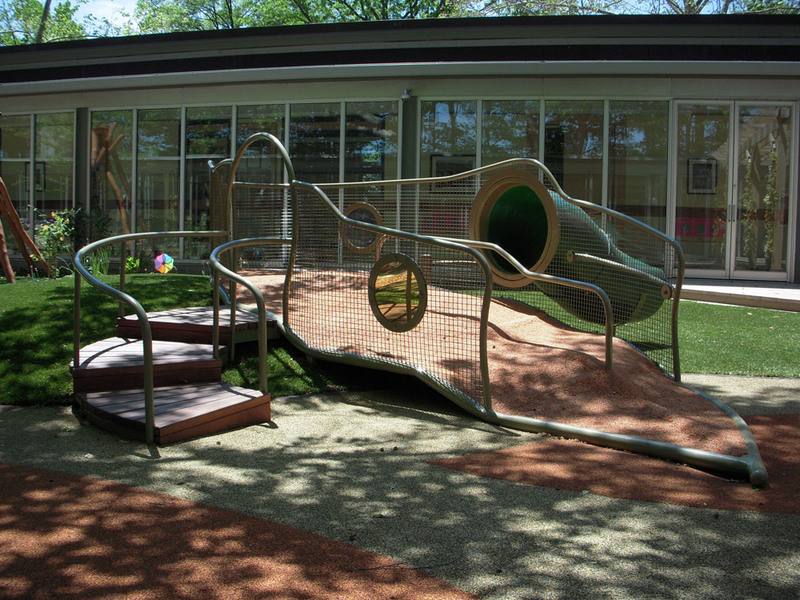 The play areas at the Bristol Myers Squibb Child Care Center provide children with play opportunities within a natural garden environment. 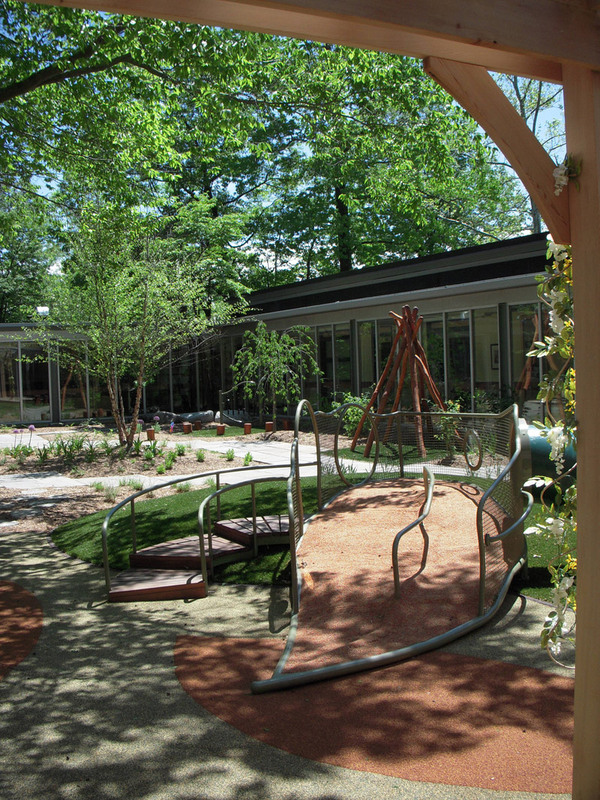 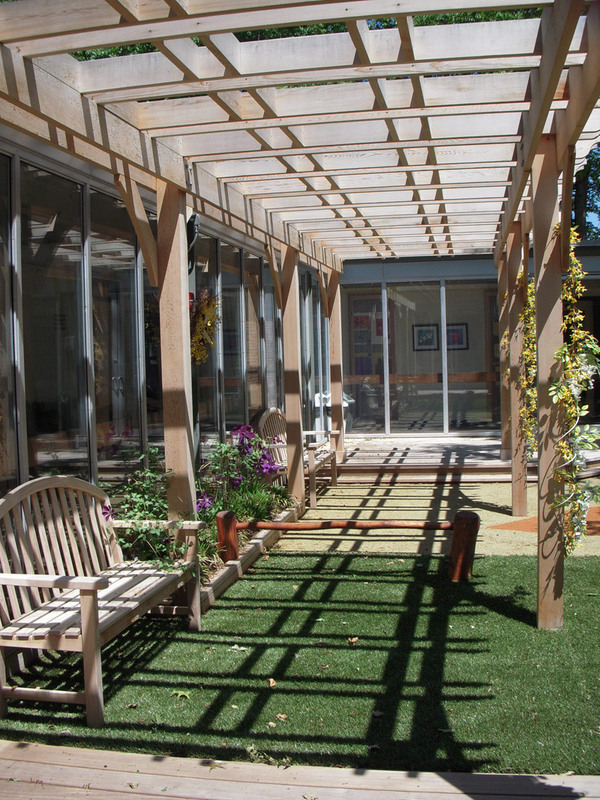 The infant play area courtyard provides children with sensory garden experiences, along with musical and physical challenges. 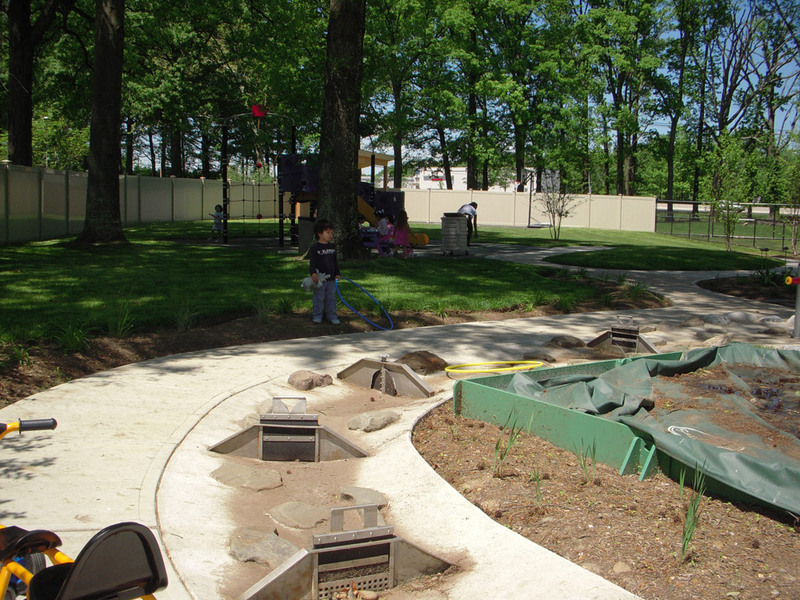 Water play channels with movable dams within the toddler and preschool areas give children opportunities for natural learning.